Multifunctional equipment for the filling of innovative dairy products developed to boost health and beauty. 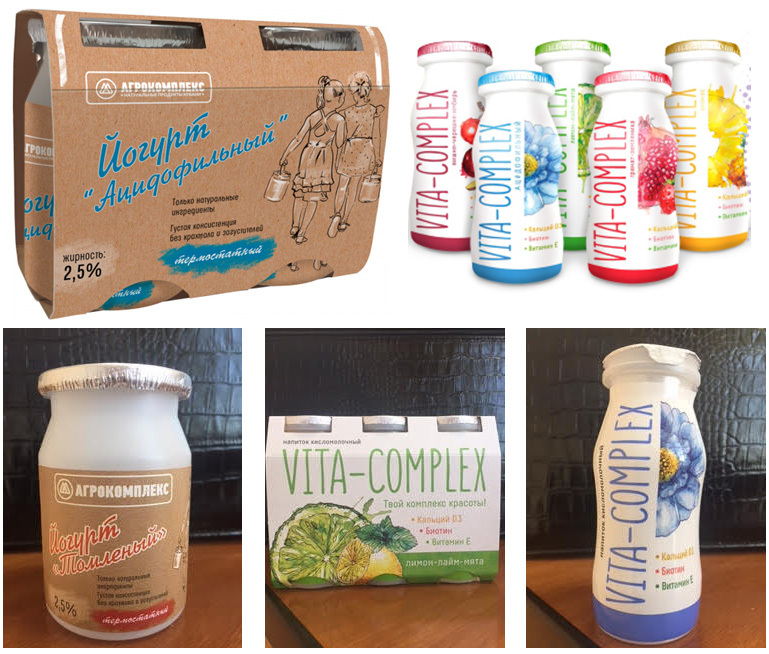 In one of the largest food producing factories of Krasnodar region in the Russian Federation, INDEX-6 Ltd put in operation a complete line for filling of a new type of dairy products – the unique yoghurts “Tomleniy” and ”Acidofilniy”. Enriched with special cultures ( acidophilia and bifidobacteria), these yoghurts effectively assist the right functioning of the gastrointestinal tract and contribute to the overall wellbeing and comfort of the body. Apart from them the equipment of Index-6 is used for the filling of “VITA-COMPLEX” yoghurts, developed with additional calcium, biotin and vitamin E to promote feminine health and natural beauty. These products are filled in two types of small single use containers – a bottle of 100ml and a jar of 150ml, sealed by a cap of aluminum foil. In order to preserve the healthy properties of the active cultures and ingredients, the producers count on the filling technology, developed and introduced by INDEX-6 with the machines of the AssetClean brand. Technological filling solutions, that ensure control of the hygiene during the entire process of bottle sterilization, filling and sealing thanks to synchroblocks designed to meet the demand of VDMA class 3. The main machine, that guarantees preserving of the quality and longevity of the filled products is the synchroblock of the series AssetClean 49 RRPWT. It consists of a section for sterilization of the bottles with active ozonated water, a section for volumetric filling of jam and other dense liquids and one for weight filling of set yoghurt along with a system of press units IND Form Caps for cutting and forming of two types of caps from aluminum foil, caps feeding chute and IND - Form Linear Seal inductor for the sealing of the aluminum caps to the bottles and jars. The entire line is built of unscrambler IND-Way for the empty containers, a vacuum conveyer IND – Trans HV for transporting the jars and bottles to the 49 RRPWT 16/6/12S synchrobloc for sterilization, two-component filling and sealing with aluminum foil. Next the IND-Lab31 machine ensures the correct placing of the self - adhesive label while the IND-Lab38 applies the heat shrinkable sleeve labels and finally a group packaging machine in carton sleeve releases the finished packaged product. The output of this particular line is of 8000 packages per hour. And the machines designed by INDEX-6 for the filling of dairy products in small packages and the sealing with aluminum foil offer a productivity of up to 24 000 packages per hour.